Epic, Space, Star Wars, Go, Classic... there are all sorts of Angry Birds games out there due to the great success they usually reach with each new release. 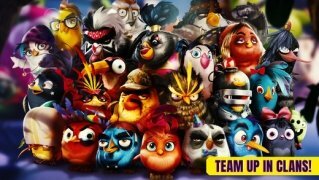 To such an extent that these birds have even got their own movie. Well, since this franchise is trying out all different genres, they've now launched Angry Birds Evolution, a title with which they intend to compete with the most successful turn-based strategy games. Pigs are arriving at Bird Island and, as usual, they're stealing eggs. As always, your mission is to stop them so you'll have to face up against them in fierce battles in which your success will depend on how powerful your birds are. And we're saying powerful because in Evolution you're going to have to make them evolve from an egg to a fearsome killing machine. For such purpose, you'll have to collect these creatures (there are over 100 new birds) and combine their different powers to face up against your enemies in the Oinktagon, a fighting ring where the combats are all about launching birds to knock down pigs in order to cause them as much damage as possible. 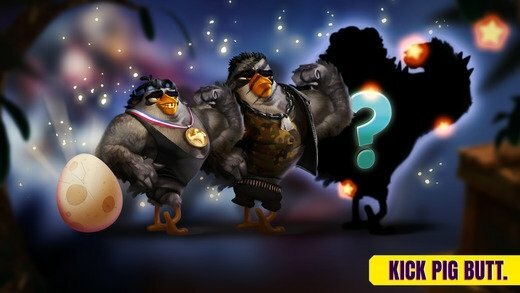 Combine superpowers from several different birds to create invincible creatures. Over 100 new characters to collect. 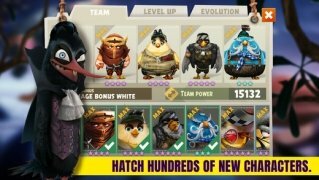 5 types of super birds with special skills. 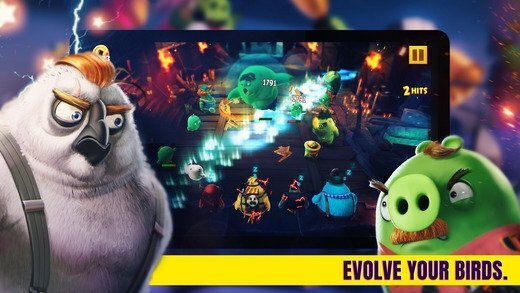 Make your heroes evolve into invincible super birds. 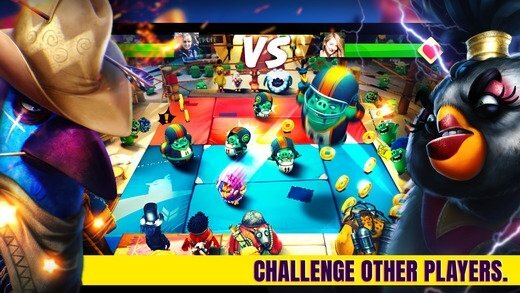 Fight against other players in the Oinktagon. Join clans and compete against others. Earn rewards by taking part in special events. The game offers you the possibility to face up against other players in one versus one combats in which you'll fight in turns and have to give it all you've got to be able to defeat other users that are much unpredictable than the game's AI.